I’ll be 35 this October. Still young. But, not really. Because ever since I had my last baby, nearly 3 1/2 years ago, I’ve felt like an 80 year old. But thats not what prompted me to write this blog post. What prompted me was when I considered other women my age and how I’m the “weird one”. There are women all around me that are just “starting out”. Women that waited until their thirties to tie the knot and rock the cradle. And, the fact that by the time their oldest child is ready for their ABC’s and 123’s, my oldest will be graduating high school. I see first and second baby announcements coming from women in their mid-thirties, like me. Our second baby. And the days of toddlers climbing on everything and feeling “big enough”. I see blog posts of forty year olds with just toddlers and such dark circles under their eyes, you’d thought they’d been in an MMA fight. Its surreal to think back at my early days of motherhood. Twelve years ago, on March 2nd, I recall taking my first pregnancy test ever and seeing two HOT pink lines. Those lines were blinding as they nearly popped thru the testing window. Had no earthly clue what being a mother meant. My oldest. The days when it was just he and I (a very pregnant me) and there was room enough to ride his trike indoors. I thought it similar to the job I did everyday. Taking care of other children, other women had birthed. The mad, intense love I had for these children was unlike anything I could describe for someone not related to me. I was so off on that love thing, by the way. The second I heard my son gasp for air, the love I thought I had for children seemed like a joke compared to this love I had for my own son. The years just continued on with a miscarriage nine months after my sons birth, then, six months later, another pregnancy: his little brother. The pregnancies and nursing years kept multiplying. I had 10 straight years of no breaks. None at all. And those years all blurred on. Our five. Over three years ago. All so little. This happened for my entire early motherhood years. While my peers were out solidifying careers and dating around, I was in the thick of chasing four, five and under. I never considered myself deprived. In fact, I somewhat pitied the ones my age that just lived to please themselves. Sure, their instagrams looked cool, and I would lie if I didn’t say I wasn’t a tad envious of their “freedom”. Here I was, sacrificing. And sacrificing hard, at that. Every second, of every day, some little face needed me. At age 29, I was homeschooling a kindergartener, chasing his very active little brother, keeping little sister out of the dishwasher while I loaded it, and nursing a colicky baby sister all night long. The days of being a 29 year old. Filled with the joys of four children, five and under. And the years rolled on. Faster and faster. Our youngest baby reminds me that, as the fifth baby, all you need is wipes, dipes, and love. I may be a grandmother in my forties (maybe). I may still look fresh out of college some days, but I would never ever regret beginning my family as a young, young graduated-college-in-the-nick-of-time-twenty-two-year-old. College. So incredibly fun, my heart could only handle three years of it. Because I got married. And completed my undergrad just a mere eight weeks before my first was born. Because, God has taught me so much in the past twelve/thirteen years. More than I could’ve ever hoped to have learned from a bunch of little people. My thumb-sucker, middle child. A time when juggling three, was truly juggling. And as my focus shifts from keeping little hands and feet safe to mentoring and molding young men and women, I will always cherish the days when both I and my children were young and naive. The days of baby gates and all-nighters that were just a seemless transition from the late nights in my college dorm room. When 2am was just a number, and we didn’t feel the consequences. 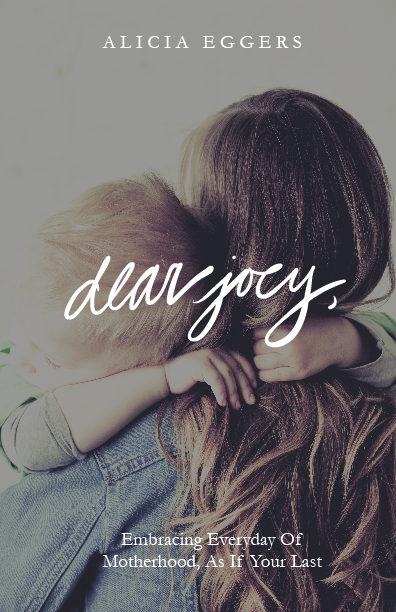 As I push and struggle to gain what was drained from me all of those sweet years, I am reminded that motherhood is just a small extension of the love of Christ. That sacrificial, gut-wrenching, ultra-intense/doesn’t-make-sense kind of love. Our fourth. And a time when I was invincible. Or so I thought. Motherhood was adorable and so squishy. Older PostOf Demons and Daniel.